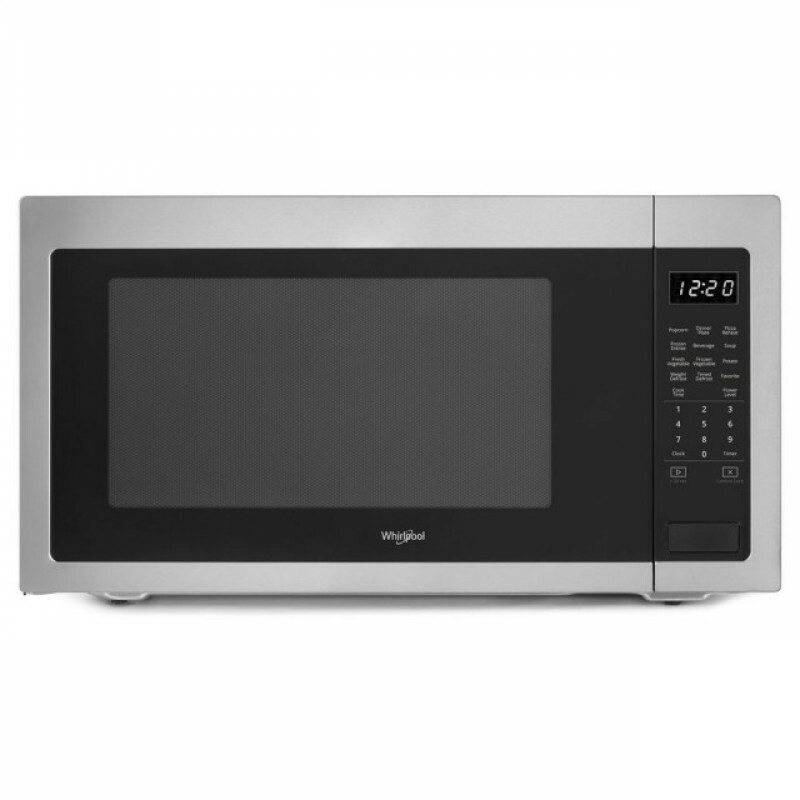 Home » Cooking » Whirlpool WOS92EC0AS 30 Inch Single Electric Wall Oven with 5.0 cu. 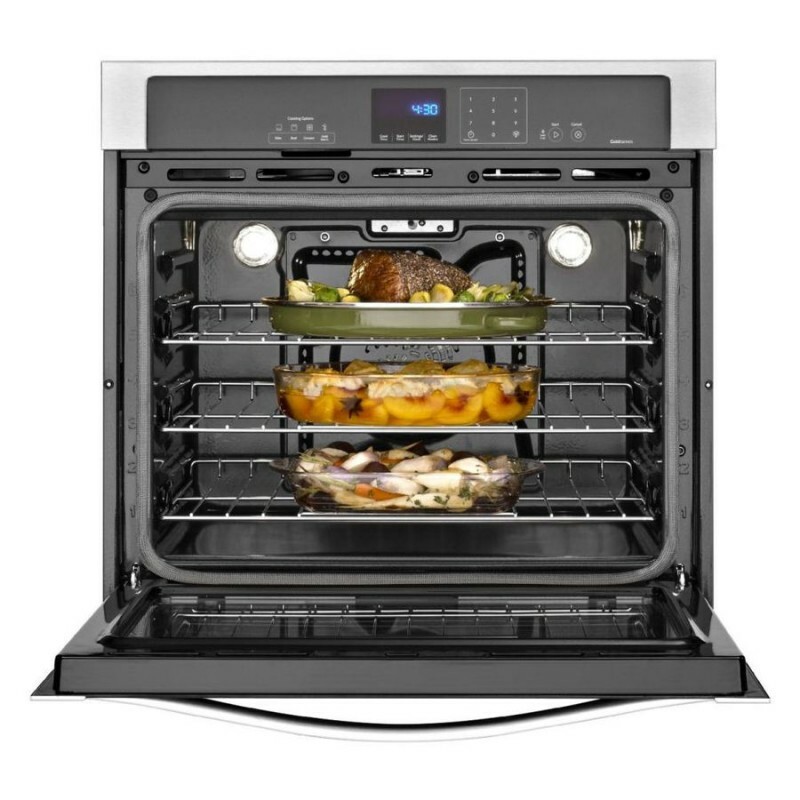 ft.
Whirlpool brand's newest convection cooking system delivers exceptional results and faster baking on every rack. 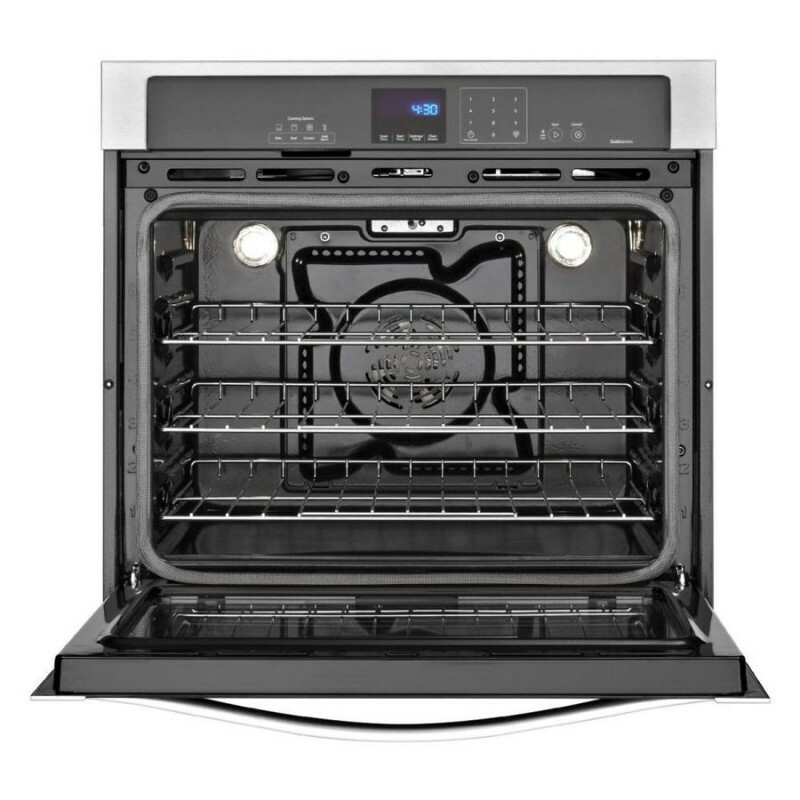 TimeSavor Ultra true convection uses a rear fan and a third 2,500-watt heating element to distribute heated air more efficiently, so the oven is completely filled with even heat, cutting roasting time and sealing in flavors and juices. The Rapid Preheat option preheats the oven 25% faster and saves time and energy. Using all of the range elements and a fan, the oven heats up more quickly and creates the ideal temperature for single rack baking. Now cutting preheat time for your next batch of chocolate chip cookies or apple crisps is easy. 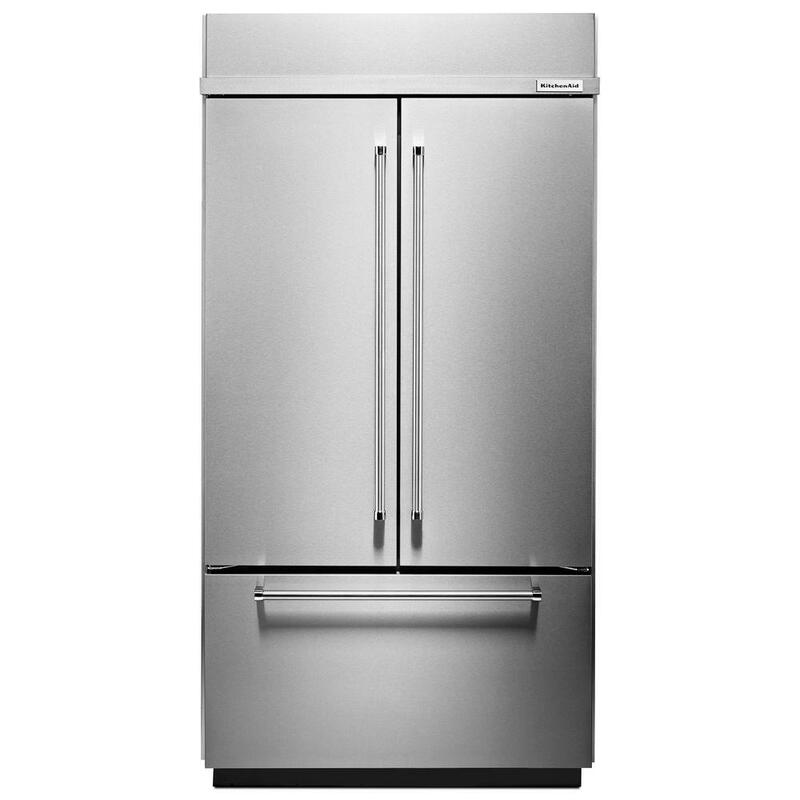 The FIT system ensures the wall oven can fit your current cabinet cutout. Using four adjustable feet and two trim options, you can easily replace almost any wall oven without moving cabinets or modifying your old cutout. Convection Conversion removes the guesswork from preparing your favorite dishes. Automatically converts standard times and temperatures to the convection equivalent. Purchased during an appliance sale Finally got this installed in my brand new fitted kitchen. Looks great and works great. great oven This oven replaced an older model that I loved, so it had a lot to live up to. I have been very pleased with performance; heats evenly, oven well insulated, controls easy to use and easy to clean. great oven! 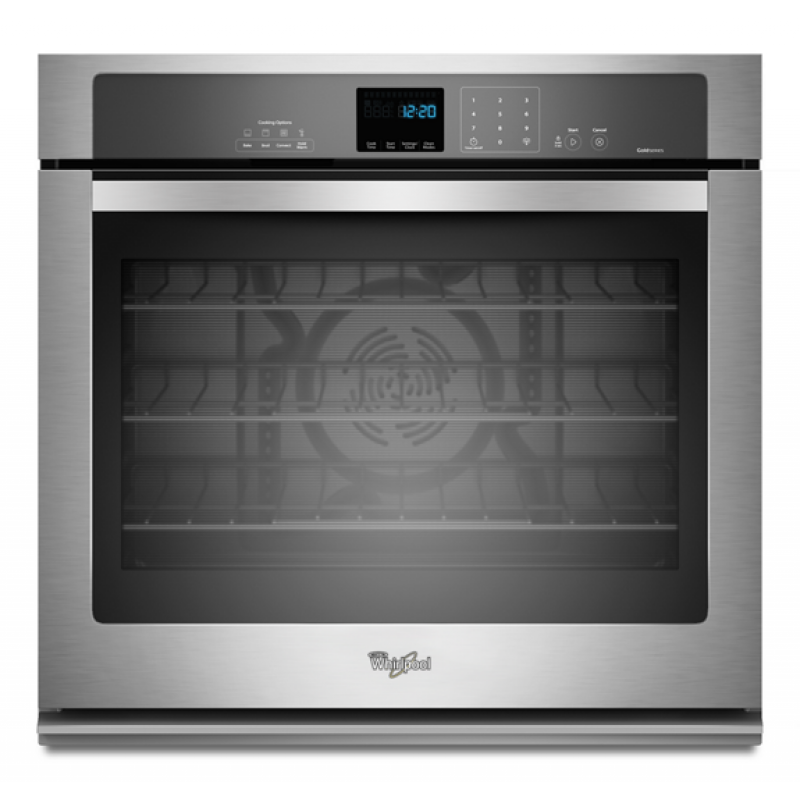 PROS: 1. simple design, easy-to-use controls 2. large oven capacity 3. love the double lights & large window CONS: none! Great Wall Oven Love the large interior! Could roast two turkeys! Nice design! Brand new cooker as an open box purchase I have to confess that this oven has yet to be installed and we will actually be building the kitchen around it and the cooktop we bought with it. However the 50% off the open box price was unmissable and we just had to seize the moment.